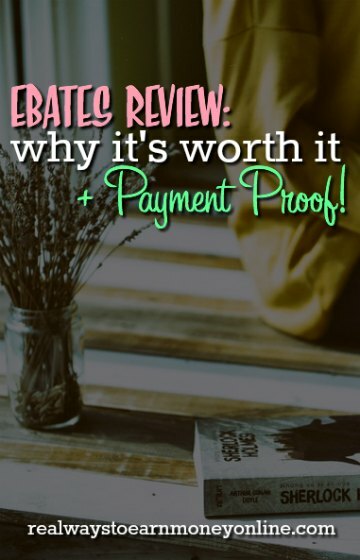 Ebates Review: Why It’s Worth It + My Payment Proof! Published January 7, 2012 By Anna T. This post may contain affiliate links. Regardless, I only recommend sites I've researched and/or used and trust. Ebates is a cash-back shopping site that has been around for quite a while, and also one of the most well-known. I am a big fan of ways to earn money for doing the things you do on a regular basis anyway. In this Ebates review, I'm going to explain how you can go shopping online and get a percentage of cash back for the purchases you make. After you've accumulated enough, Ebates will send you a payment! What is Ebates and how does it work? As I touched on above, Ebates is a site that will send you cash back for online purchases. And as for how it works, it's actually very simple and anyone can do it. Create an Ebates account (completely free to do this) and then just remember to visit their site before you make an online purchase. They support the majority of well-known stores online. So if you're shopping anywhere online, be sure to browse their list of stores to find out if you can get cash back. Most likely, you can. Home Depot … and many more! Is Ebates legit to use? Ebates is absolutely legit to use. I've been a member for many years and have been paid multiple times (scroll down for one of my recent payment proofs). You can also see here that they have a very high rating with the Better Business Bureau, if that sort of thing matters to you. How much cash back can you get? It all depends on how much each store is offering, and this amount may vary from time to time. Still, anywhere from 2% to 10% cash back seems to be pretty common. Most stores are offering cash back within that range. How and when do you get your money? The cash out here is pretty low — you can cash out at just $5.01, but Ebates only sends out payments once every three months for purchases made during the previous quarter. So if you're looking for a way to earn fast cash, this opportunity doesn't fit the bill. If you have not earned $5.01 within the quarter, the amount will roll over into the next quarter. But if you shop online quite often and you actually remember to use Ebates, it should be easy for you to get a payment from them every time they pay out. Ebates also has several options for actually getting your money. You can choose from Paypal payments, a check mailed to you, or you can opt to have it sent to a charity, or even to someone you know. How long does it take the cash back to credit to your account? This also varies, but most of the time for me it's credited within a few hours after I've made my purchases. I've never had something I bought through Ebates not credit. So just be patient, and you will see the amount go into your account. Usually Ebates will email you when you are credited as well. How does Ebates make money? Ebates is an affiliate for the companies they work with. So for example, if you make a purchase through Ebates for Walmart or a similar store, Ebates will then receive a commission. This is how they can also afford to pay you for using the site. I have more info on how affiliate marketing works if this is something that interests you. It's yet another way to earn money at home. Want see my Ebates payment proof? What is the real earning potential with Ebates? This is not a job, just a way to earn extra money. But it's money that's so easy to get if you just remember to use Ebates, seeing as how most of us have to shop online at times even if it's not really a regular thing. And if it is a regular thing for you to shop online, then of course you could profit even more from it if you remember to use the site. I know people who manage to get hundreds of dollars back every quarter! I don't use it enough for this to be a reality with me, but some people do. 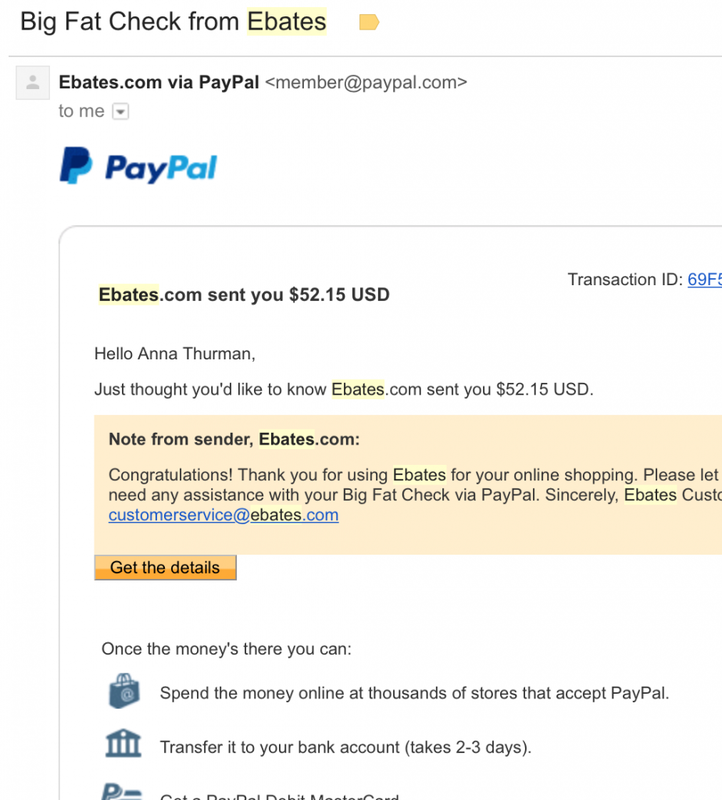 Does Ebates Pay For Referrals? They do! You can sign up for their refer-a-friend program, tell your friends about it, and earn money once they become active on the site. If you refer two friends, you could earn $50. The company will provide you with a unique referral link to give out so they can track your referrals back to you. Has this Ebates review got you wanting to sign up? If so, you can go here and begin receiving cash back for your online purchases. And don't forget to download the Ebates app to your iPhone or Android as well! I use Ebates for all my online shopping and have saved tons of money over the years. I definitely recommend them if you do a lot of online shopping. Even though you don’t always get a high percentage back, a few dollars here and there can really add up over time. Another plus is that when you look up the store on Ebates, they show you all the active coupon codes available at that store. You can combine the coupon codes with cash back for extra savings. I finally had to upgrade my home office computer after 10 years. I bought an HP system through ebates and got $40+ back. It’s a great site! I use eBates when I can and have a Big Fat Check coming the next time they payout. What I have in my account was mostly accumulated over a year ago, so I’m not able to use them often (mostly because I do a lot of shopping with Amazon.) It is a nice way to get some money back, though!